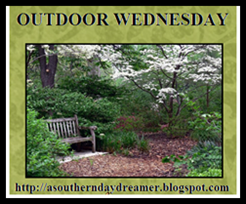 Today I am participating in Outdoor Wednesday hosted by Susan at Southern Daydreamer. I took this picture Tuesday morning before it was very light outside. An owl (can't see him) was hooting out in the backyard and I had to come out and look. That's the moon peeking through the trees. Now there's never a dull day in Oklahoma. We had a beautiful morning followed by F2 or F3 tornados in the afternoon. There were two or three tornados around us but none were closer than about 4 miles away. Please remember those who have lost their homes have been hurt in the tornados. I am so glad that you were not threatened by those tornadoes! Welcome to Outdoor Wednesday Stacey! a wonderful picture of the moon! And tornadoes 4 miles away later that day? Too close for me....stay safe! I am glad that you are fine. Tornadoes are an amazing thing. I watched the weather channel this afternoon hoping all of my friends were well. Great shot of the moon for Outdoor Wednesday. 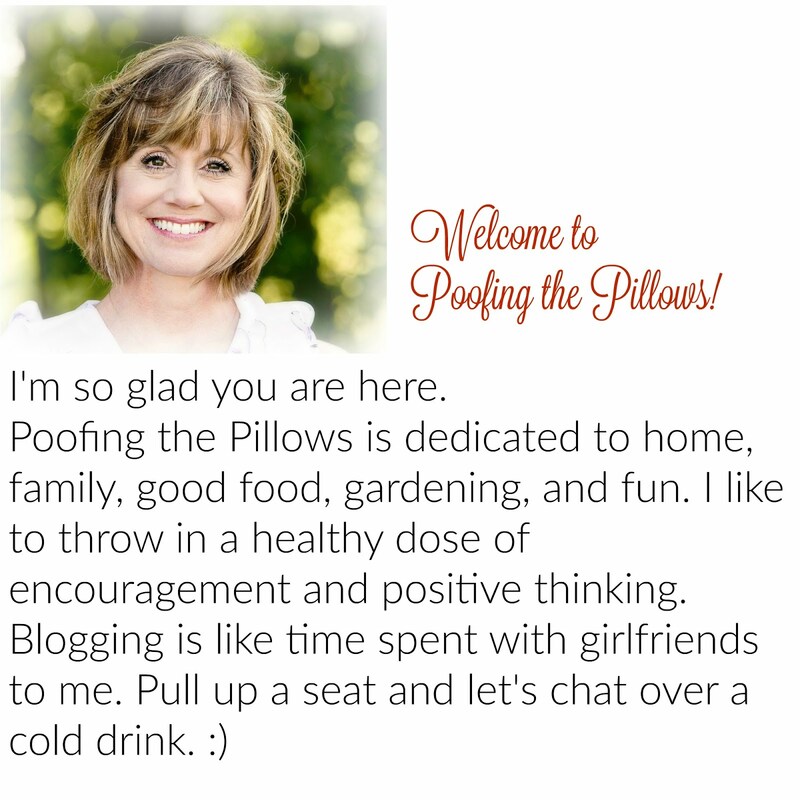 You have a lovely blog. Wonderful Moon photo, stay safe, Kathy. Was so glad to read that you & your family are alright. Was watching the news and saw the damage to your town. Keeping you in our thoughts & prayers. I heard about the tornados yesterday on the news and thought about my blog friends in that area. Glad to hear that you are alright. The full moon is beautiful. I saw on my computer this morning that there were tornadoes. I haven't had the news on yet. I will be praying for everyone. I thought about you when I heard the weather reports this a.m. We get a few tornadoes here but nothing like when we lived in OK. Glad to hear you're safe! Those were from last year. I see a few daylilies sprouting but so far, that's it! When I heard that tornadoes had hit the Ok. City area, I, immediately, thought of you. So relieved to hear that you're OK...those storms can be scary and deadly. I will definitely say a prayer for those who weren't as fortunate. Beautiful picture. I'm so glad your okay! I was praying for all of y'all in OK last night!! Yes we will continue to pray for those who have had such tragic losses, and for your continuing protection. Oh, Stacey, prasie God you and your family are safe and sound. I know these storms can just be devastating! My heart and prayers go out to all those who've suffered! Thanks for you advice on my living room. You know your winged backed chairs are about the color of my walls! My chairs are tufted right now but I want them to be recovered without that this times - just like yours. I love that fabric and you're calling it right. It's beautiful. Your living room is just so lovely! I was thinking of you Ok bloggers when I saw the news from Edmond this morning. Glad you made it okay. I love that photo, with the trees and the moon shining brightly...I too love to hear the owls. And isn't it amazing that even though they are quite large creatures, we hardly ever actually see them, just hear their wonderful voices. :-) So glad you are safe...tornadoes are so unpredicatble and terrifying. I sent you an email Stacey. Wonderful picture of the moon. We are getting the winds from the front you had yesterday! Glad your O.K. I heard of the tornados this morning on the news. My heart goes out to those affected. When I heard about the tornadoes in Oklahoma on the news this morning I instantly thought of you. Glad to hear you are okay. I saw the devastation on teh news this morning...my prayers are w/ everybody affected. We were lucky it blew threw here real fast. Love that pic of the moon through the trees! Love that last photo! I was worried about you last night. I was praying for us all last night. Our area of East Texas only had high winds. No damage. So glad you are alright. Lovely picture. My mama is in AR, so I was watching the weather channel and talking with her on the phone last night...thought of you when your area was hit so hard. So glad you are ok. Hoping my other friends in Edmond are ok. Isn't it amazing how quickly a day's events can change? From the peaceful and beautiful moon picture...to nasty tornadoes. So thankful that you all are okay, and truly thinking about those who lost so much. We have a high wind advisory, and that seems minor compared to tornadoes. We were watching a lot of the tornados in Edmond and I'm glad you were not damaged by any of them. In our area it ended up being an EF 4! They said winds of 166 miles per hour. SCARY!! I am glad you are okay! I wondered about you when I saw those tornadoes on the weather channel! Ohh, I'm glad that you're ok!! Must have been a scary time! Hi Stacey...I am so glad the storms missed you and I have been keeping the others in my prayers. Yep, we heard about the tornados there. Glad you're okay. Will definitely say a prayer for those who are now without a home. Hi, Stacey girl...well, did your sweetie man bring you candy and flowers for V. Day? Mr. SweetNothings brought me a pretty card and a large heart-shaped box of CHOCOLATE COVERED STRAWBERRIES. OH, MY...I did give him the biggest hug and kiss, too! tee hee.